Yes, this is the latest news published in the English aharm and the Calgary herald and so many international journals. The spice from the east is said to possess so many healing properties that it can prevent diabetes, help to fight cancer and heal wounds and stop inflammatory process. Curcumin is the principal curcuminoid ( active ingredient ) of the popular Indian spice turmeric, which is a member of the ginger family (Zingiberaceae). Turmeric's other two curcuminoids are desmethoxycurcumin and bis-desmethoxycurcumin. The curcuminoids are natural phenols that are responsible for the yellow color of turmeric. A lot of research is being done now a days to establish its role in fighting various complicated diseases and the results have proved that it is really beneficial. That's why the incidence of breast cancers and other cancers is much lower in India and eastern countries than western countries. Supplements containing a compound found in curry spice may help prevent type 2 diabetes in people at high risk, according to a Thai study. 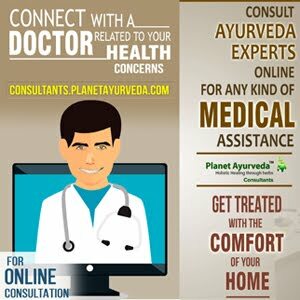 Researchers, whose results were published in the journal Diabetes Care, found that over nine months, a daily dose of curcumin seemed to prevent new cases of diabetes among people with so-called prediabetes - abnormally high blood sugar levels that may progress to full-blown type 2 diabetes. Curcumin is a compound in turmeric spice. Previous lab research has suggested it can fight inflammation and so-called oxidative damage to body cells. Those two processes are thought to feed a range of diseases, including type 2 diabetes. “Because of its benefits and safety, we propose that curcumin extract may be used for an intervention therapy for the prediabetes population,” wrote study leader Somlak Chuengsamarn of Srinakharinwirot University in Nakomnayok, Thailand. The study included 240 Thai adults with prediabetes who were randomly assigned to take either curcumin capsules or a placebo. The ones taking curcumin took six supplement capsules a day, each of which contained 250 milligrams of “curcuminoids”. After nine months, 19 of the 116 placebo patients had developed type 2 diabetes. That compared with none of the 119 patients taking curcumin. The researchers found that the supplement seemed to improve the function of beta-cells, which are cells in the pancreas that release the blood sugar-regulating hormone insulin. They speculate that the anti-inflammatory effects of curcumin help protect beta-cells from damage. But a diabetes expert not involved in the study said it’s still too early for people to head to the health food store for curcumin supplements. “This looks promising, but there are still a lot of questions,” said Constance Brown-Riggs, a certified diabetes educator and spokesperson for the Academy of Nutrition and Dietetics. The trial lasted only nine months, and it’s already known from longer-lasting, larger trials that lifestyle changes -- including calorie-cutting and exercise -- can prevent or delay type 2 diabetes in people with prediabetes. Brown-Riggs added that consumers can’t be sure that a product actually contains the ingredients, or the amount of ingredient, listed on the label. “If I was talking to a patient about this, I’d say concentrate on eating healthy and overall lifestyle,” she said. Researchers found that over nine months, a daily dose of curcumin seemed to prevent new cases of diabetes among people with so-called prediabetes - abnormally high blood sugar levels that may progress to full-blown type 2 diabetes, which is linked to obesity. Curcumin is a compound in turmeric spice, and lab research has suggested it can fight inflammation and so-called oxidative damage to body cells. Those two processes are thought to feed a range of diseases, including type 2 diabetes. The study, published in the journal Diabetes Care, included 240 Thai adults with prediabetes who were randomly assigned to take either curcumin capsules or a placebo (identical-looking capsules with no active ingredient). I have seen excellent results in using Curcumin capsules in my patients suffering from Diabetes and Cancer ! sir, myself Vikas from Kerala. My age is 29 years. Sir recently I have been diagnosed with Choroiditis. I know there is no cure for it but is there any treatment in Ayurveda which can atleast arrest progression of disease. My all lab reports (TLC, DLC, CALCIUM, QUANTIFERON TB GOLD TEST, KFT, RBS, CHEST X RAY)are normal.